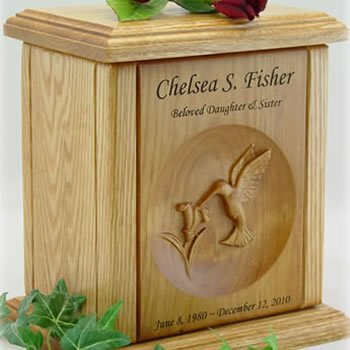 Select from our beautiful handcrafted wood cremation urns. We have a wide selection of wood cremation urns in a number of finishes including cherry, walnut, mahogany, and oak. Please check product details for available selections. These cremation urns are highly detailed, handcrafted works of hardwood art and most of our wood urns can be personalized with engraving.